Forty-four young girls from primary schools of different municipalities, specifically from grades 7 to 9, were all gathered in one place. The main activities consisted of several workshops on building a functional circuit, configuring Lego Robots, developing applications, learning the essentials of graphic design, animation, and other activities focused on science and technology. The participants were visited by the President of the Republic of Kosovo, Mrs. Atifete Jahjaga, together with the United States Ambassador to the Republic of Kosovo, Ambassador Tracey Ann Jacobson. President Jahjaga pointed out the extraordinary potential that she had seen among the girls and their bright future in different fields of study such as technology and even politics. Ambassador Jacobson emphasized the importance of education, particularly technology and science, and the need of having more women involved in these fields. She also stated that this objective can be reached by utilizing the potential and energy that the country currently has. Technology is constantly evolving and reinforcing its presence in our lives. Therefore, educating the young generations regarding the use of technology is of high importance. 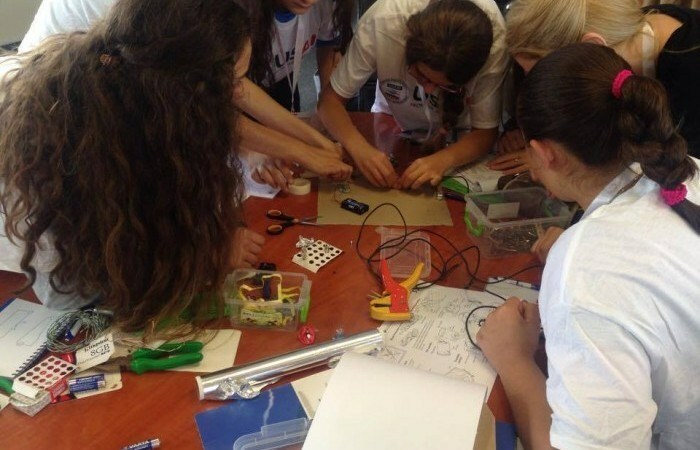 The young girls from lower secondary schools of Kosovo had the opportunity of engaging in technological activities through group work, while teachers and young tutor girls made sure that the process went as smoothly as possible. Additionally, a young, successful Kosovar female gave an inspiring speech as to exemplify that innovation in the field of technology can bring successful results. As a co-organizer, IPKO Foundation is delighted to continue to have an influence on the technological development of the Kosovar youth, especially girls. IF hopes that these activities will inspire future projects that have the very same objectives.